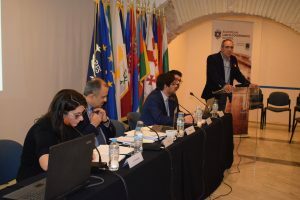 The 2nd Sounion Invitational MUN (Model United Nations simulation) “Meeting of the Commission on Crime Prevention and Criminal Justice (CCPCJ) of the UNODC” took place on November 24, at the ELGS organized by the Academy for Transparency and Human Rights of the EPLO. 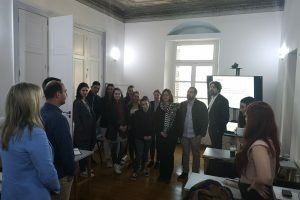 ELGS Undergraduate students participated along with students from the Russian Presidential Academy of National Economy and Public Administration (RANEPA) under the guidance of Prof. Omar Hernandez as part of the latter’s training program on “International Law & Diplomacy”. 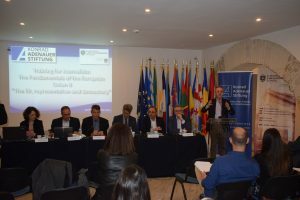 The topic of this year’s SIMUN was “Cybercrime” and it simulated a Meeting of the Commission on Crime Prevention and Criminal Justice (CCPCJ) of the United Nations, followed the UN4MUN methodology and was based on the guide prepared by the United Nations Office on Drugs and Crime (UNODC) within the framework of the E4J initiative. 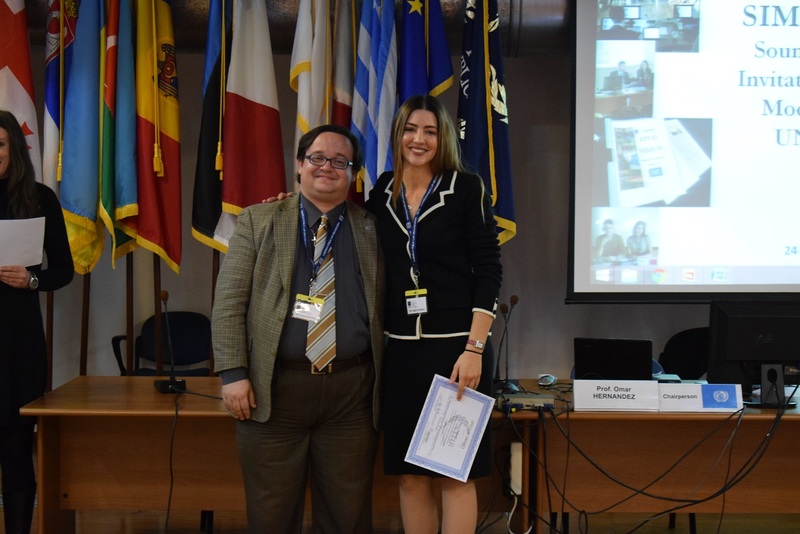 Ms Agapi Stergiouli, ELGS/LLB Student won an award for her outstanding performance representing Russia on Friday’s SIMUN. ELGS Resident lecturer ms Emily Pia acted as the Rapporteur along with Prof. Omar Hernández who was the Chairperson during this simulation meeting.